This plate is so much fun to play around with, anything you can think of for a pretty Valentines day mani you will find it on this plate. The first mani I did use three different images from the plate, I used the negative love image for all of my nails except my ring finger. 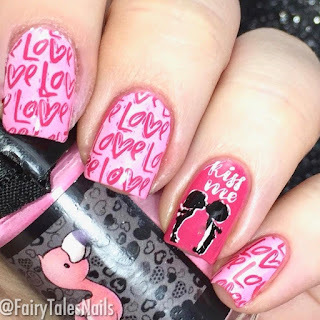 I then stamped the cute image of the couple kissing and the working 'kiss me' for my accent nail. I really liked how this one came together and I definitely think this would be a good one for Valentines. My second mani again went down the kissing root, I used the full lips image for my pointer and middle nail. 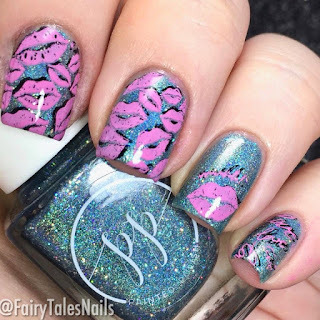 I then stamped the singular lips with the wording 'Mwahh' on my ring nail and finished this off with the full size image with Love scrawled in different directions. My third mani and probably my favourite is the cute loved up penguins, I paired them with the circular fully size heard image. 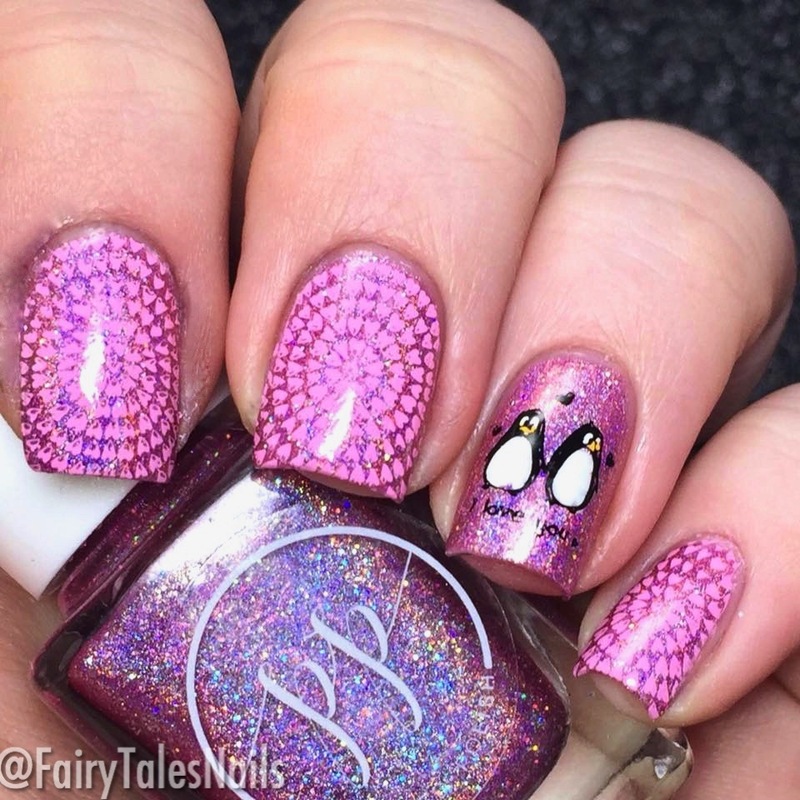 There is nothing cuter to me than two itty bitty penguins holding hands surrounded by loads of little hearts. 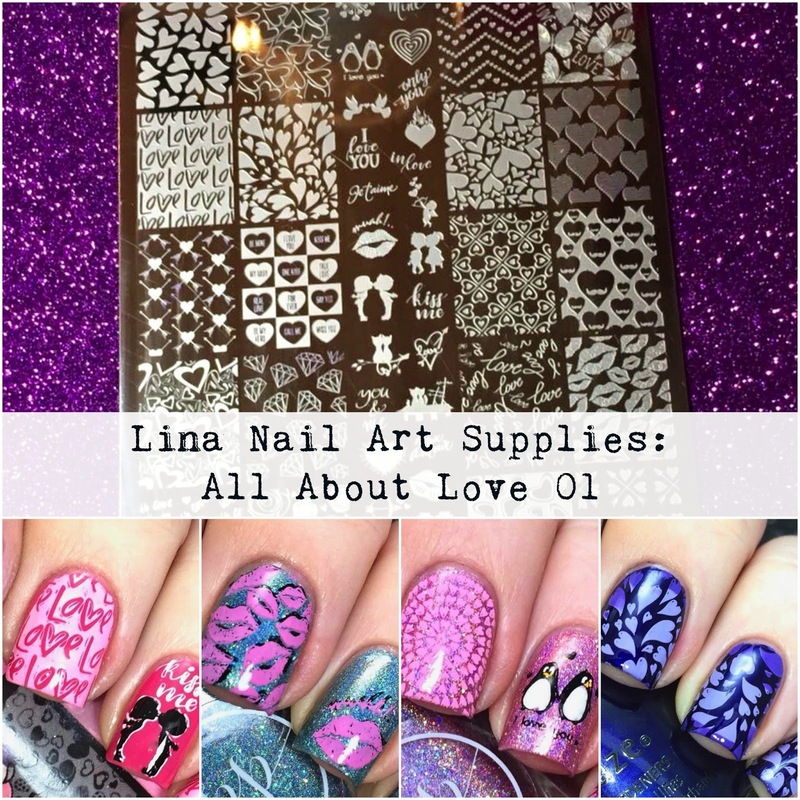 For my final look I used another full size heart image and created a radial gradient using two different stamping polishes. I really liked the contrast of all these colours together and think this could be worn not only for Valentines but all year round. 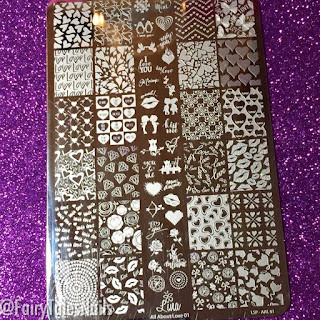 As I said this plate is fantastic for any Valentines look you want to create, all of the images stamp really nicely and there was no issues with pick up. There are still loads of images I want to try so keep your eyes on my Instagram for those. This plate measures 14.5cm by 9.5cm it has 24 full size images and 29 singular images. They all stamp beautifully and are very unique to what I've seen from other Valentine themed plates. 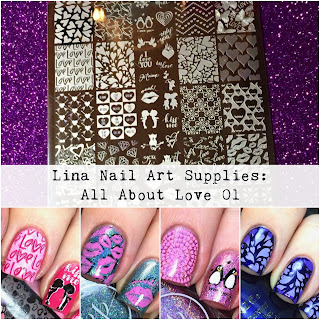 Overall another fabulous plate from Lina Nail Art Supplies, great quality and tons of great images to create loads of pretty nail art looks. If you want more details on exactly what I used for these looks they can be found on my Instagram. 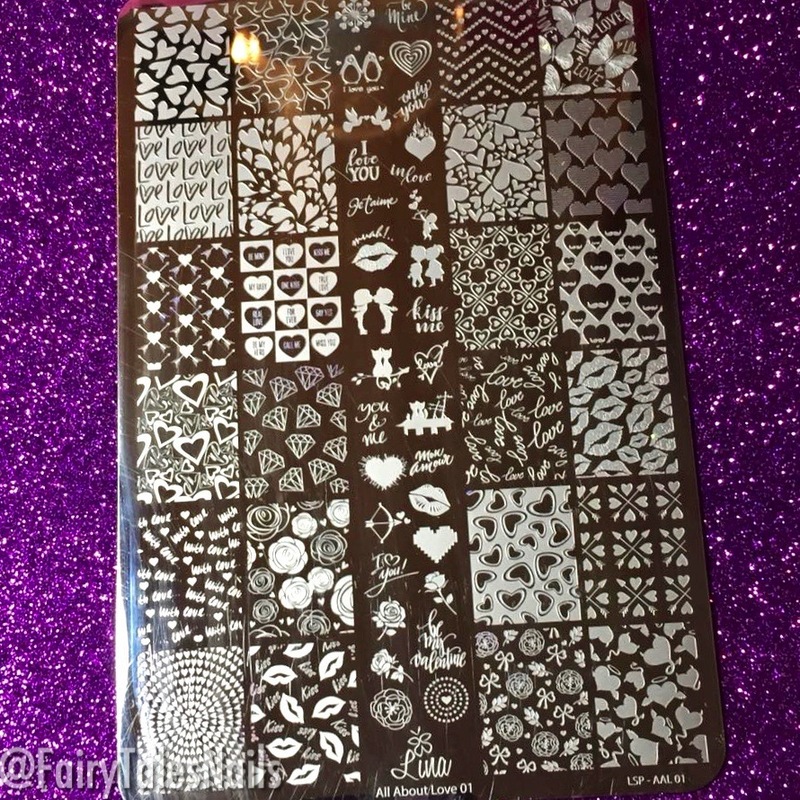 This plate is available now from UK supplier Nail Artisan for £12.25, this is still in stock so you can still grab this before Valentines Day. I would love to know your thoughts? 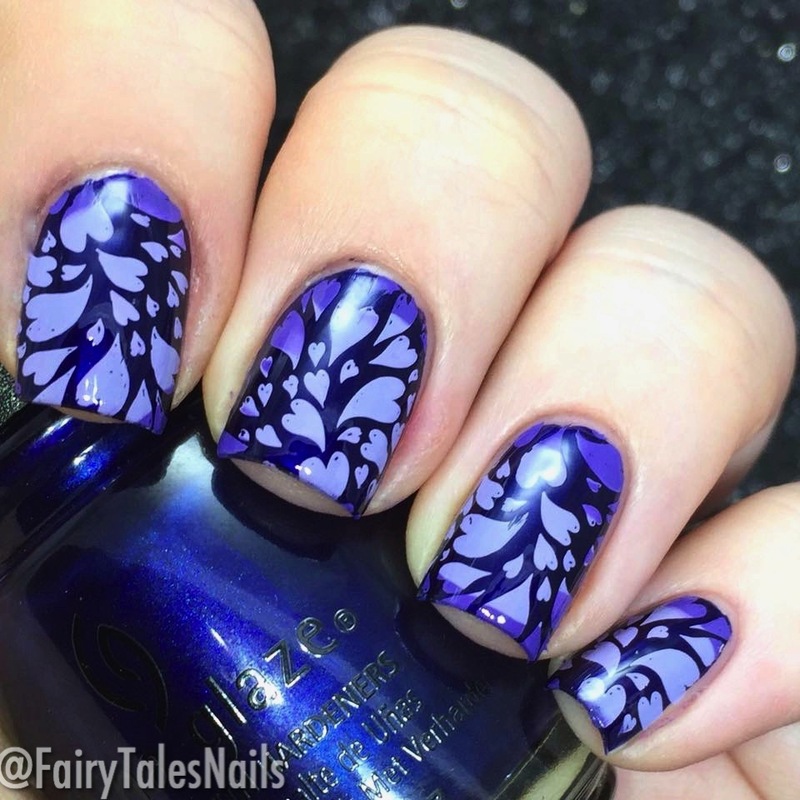 Which mani would be your favourite? Let me know down in the comments. As always I hope you have enjoyed this post, have a great weekend and I will chat to you all again soon.